The nominee for Navy's next top officer is an aviator who has tracked Russian submarines and led major reforms to the service's personnel command, officials announced. "I'm honored and deeply humbled by the nomination and look forward to working with Congress during the confirmation process," he said. 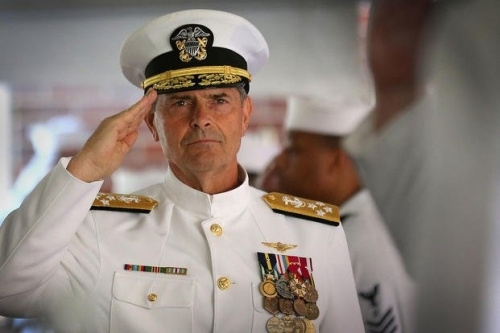 Following the announcement of his Moran's nomination, Navy Secretary Richard Spencer called the admiral an "extraordinary leader" and "stalwart partner and advisor."